Come visit and get to know us! Discover what CCBC has to offer with by attending an information session or participating in a campus tour. 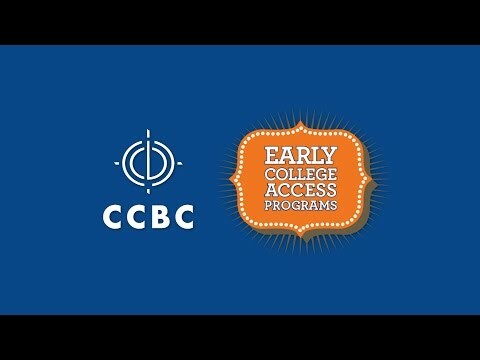 Take advantage of early college access while still in high school. It’s free to apply to CCBC, so get started on the application process today. Whether you plan to earn a degree, certificate or career training, it all begins here. CCBC offers several programs that allow high school students to take college classes and earn college credits. Parallel Enrollment Program is an early college access program for all high school students attending the Community College of Baltimore County. BCPS Tuition Free Program is an enhanced early college access program for eligible BCPS high school sophomores, juniors and seniors. To apply, first talk with your school counselor to determine eligibility. BCPS students have the opportunity to earn both high school and college credit through the BCPS Dual Credit Program. D2C is designed for high school students who want to graduate with a high school diploma and a Program Certificate from CCBC. D2C focuses on twenty-first century work skills that you can use right away, while letting you earn credits that are easily transferred to other colleges. Complete a CCBC application for admissions. Request an official high school transcript to be sent to the Career Pathways office. Register for a course at CCBC within three years of high school graduation. For more information, contact Emilie Cherry, Director of High School Collaboration, on 443.840.1997 or e-mail, echerry@ccbcmd.edu. This college-preparatory program improves access to higher education for first generation and/or low-income BCPS high school students. CCBC allows selected 8th and 9th grade students to take credit classes. Advanced Placement (AP) courses can grant high school students CCBC credit. CCBC admissions experts visit schools throughout the area to help interested students enroll. These instant admissions sessions offer opportunities for graduating seniors to reduce anxiety about the college application process and build a solid plan for the future. Watch for an instant admissions announcement at your high school. College-ready, recent high school graduates can attend CCBC full time without the cost of tuition and fees. Questions about Applying? Contact us!